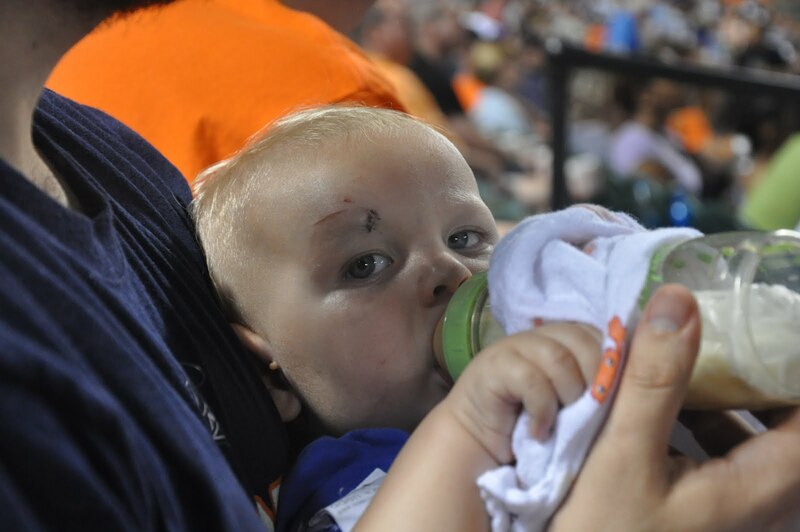 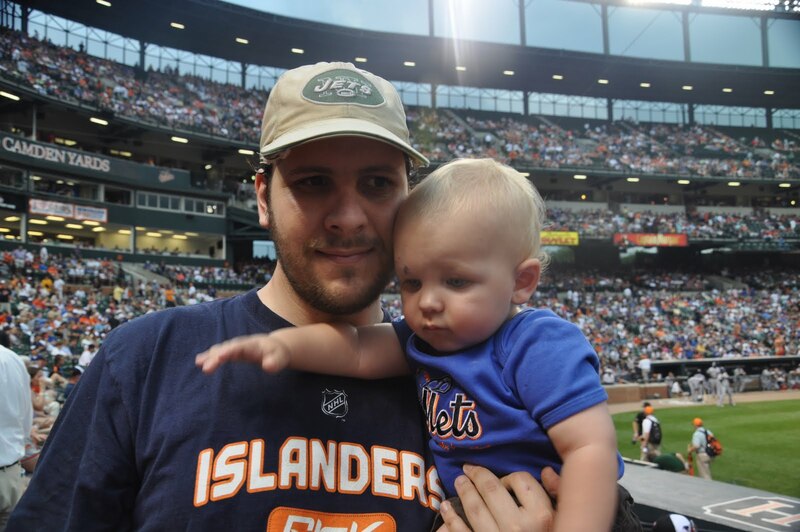 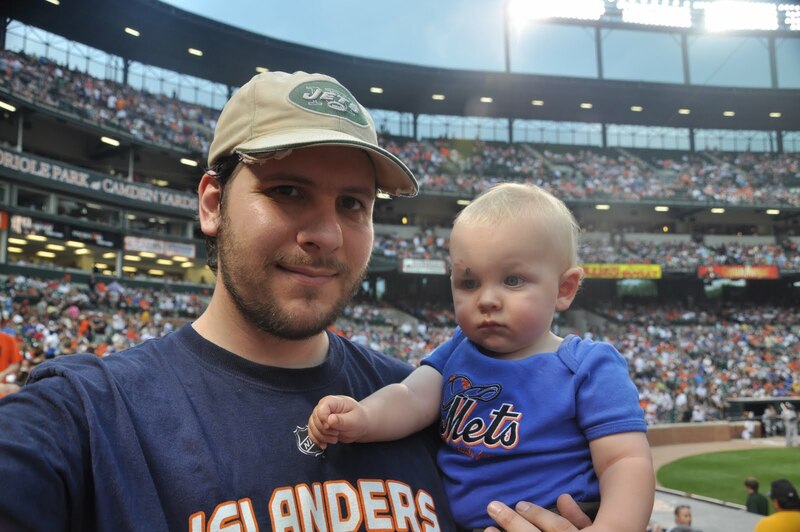 Baby William: First Mets Game! 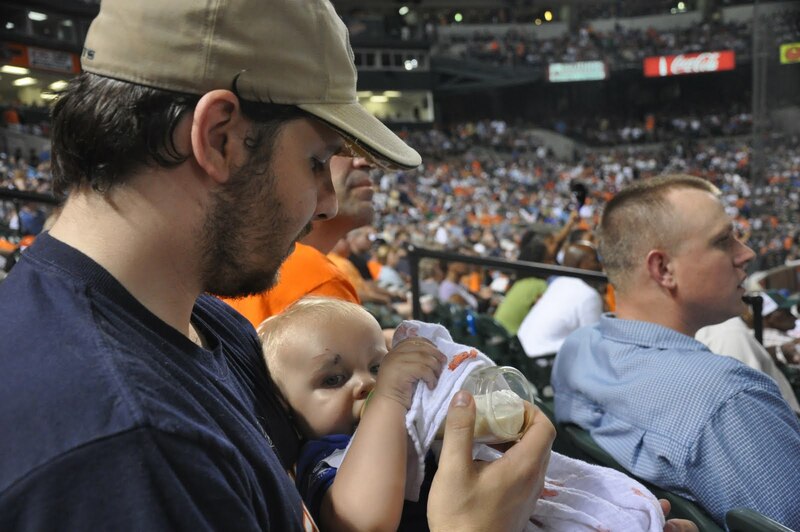 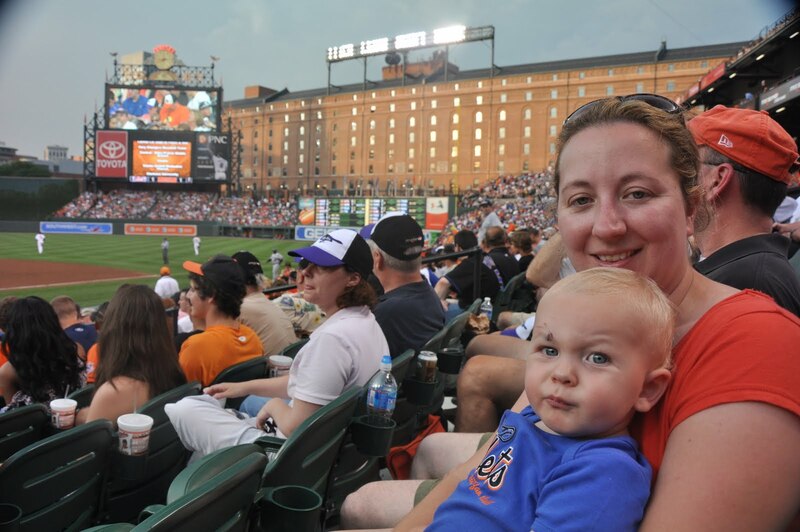 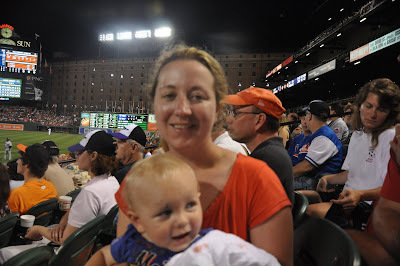 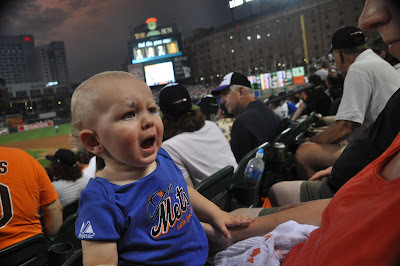 We took William to his first Mets game in Baltimore yesterday! 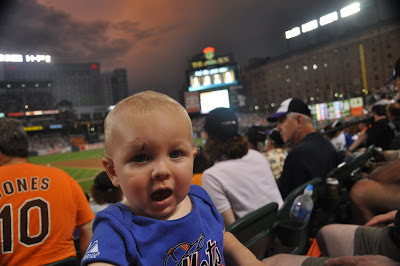 It was a 7pm game so he was up way past his bedtime but he did so well. 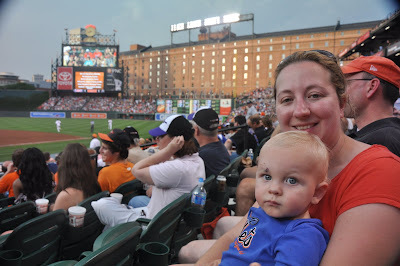 He loved the crowds and the noise and the game! He also loved the french fries he managed to smuggle from me when I wasn't looking. 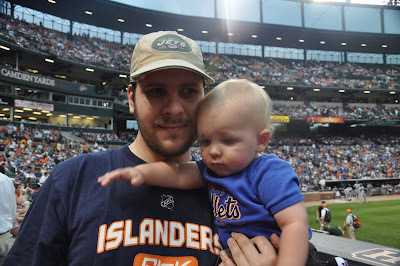 He was a little sleepy at the end of the game! 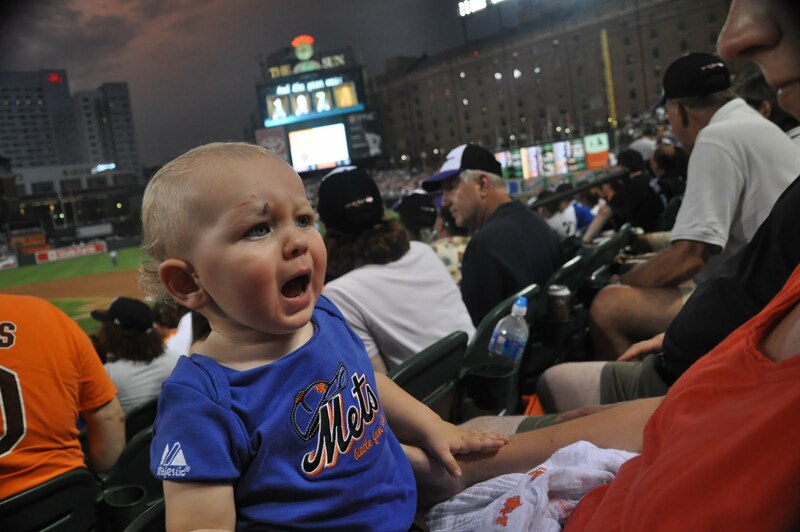 He did a lot of talking during the game!